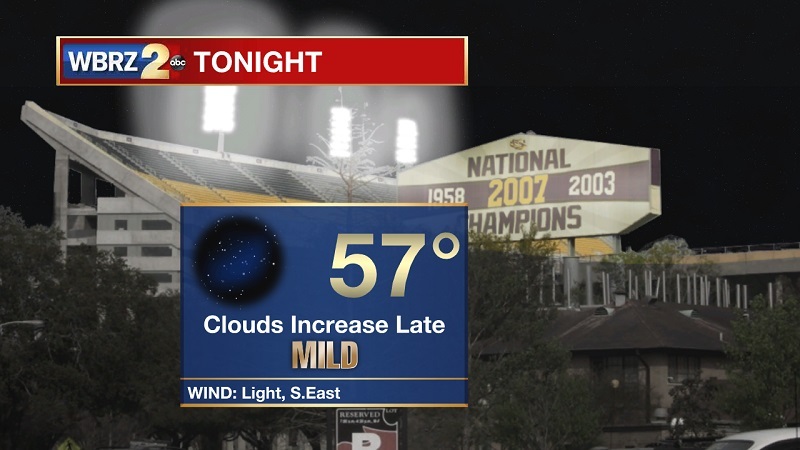 Tonight and Tomorrow: Mostly clear skies this evening, and it will be a wonderful night to celebrate the big Tiger win over Bama!! Temperatures will stay mild, only dropping lows near 57° overnight. Clouds will be increasing late, allowing for the heat through the earlier part of the day to stay closer to the ground surface. *Don't forget to set your clocks back one hour, as we get an extra hour of sleep tonight* Mostly cloudy conditions will roll in Sunday morning, leading to spotty showers after 9 AM, with developing storms through the late morning and early afternoon hours. Temperatures will be slightly warmer, with highs reaching around 76° as winds will be out of the southeast between 5 and 10 mph. 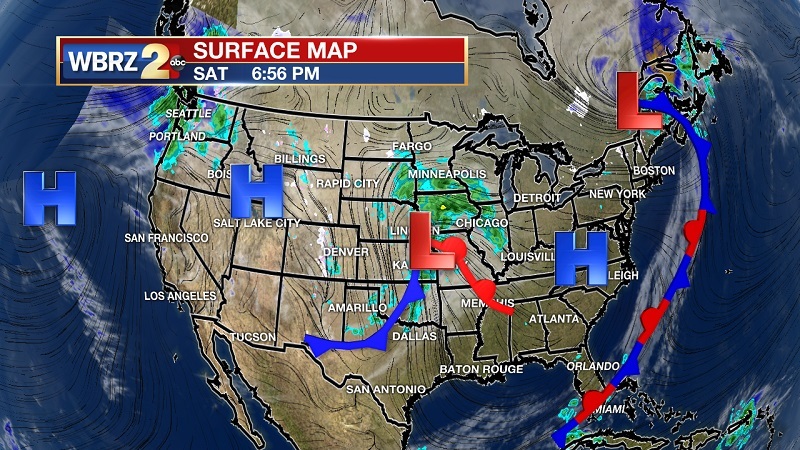 Up Next: A parade of frontal systems will be moving across our area through the majority of the week, providing above average temperatures and wet conditions Monday and Tuesday. There will be a slight break in the action on Wednesday, before showers and storms return Thursday and into early Friday. 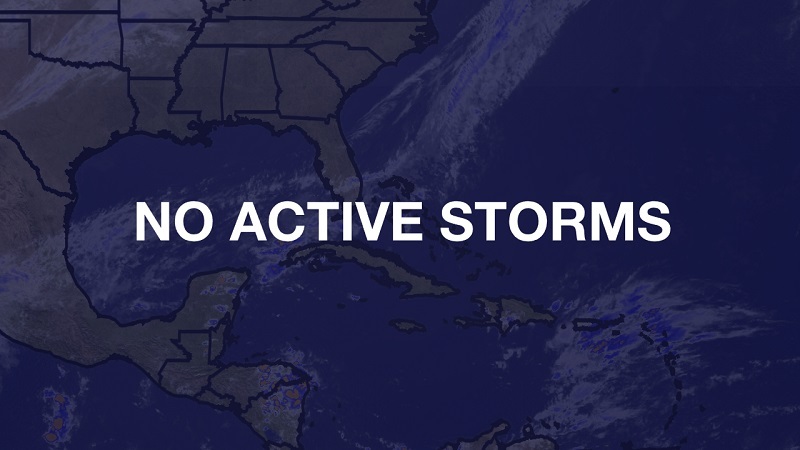 The Tropics: Currently there are no named storms in the Atlantic, and the National Hurricane Center is not expecting any tropical development within the next 5 days. Winds will turn more southerly overnight and into Sunday, allowing for an increase of cloud cover, warming temperatures, and heightening humidity. 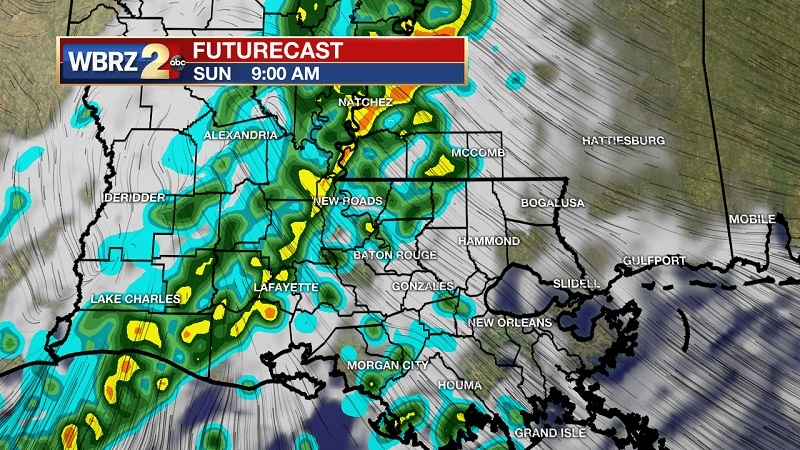 Showers should begin after 9 AM Sunday, increasing in intensity and storm activity around noon and extending through 4 PM. The front is moving quickly, as conditions dry through the evening hours. 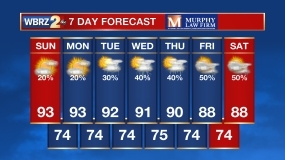 Several cold fronts are poised to travel through the area over the upcoming week. 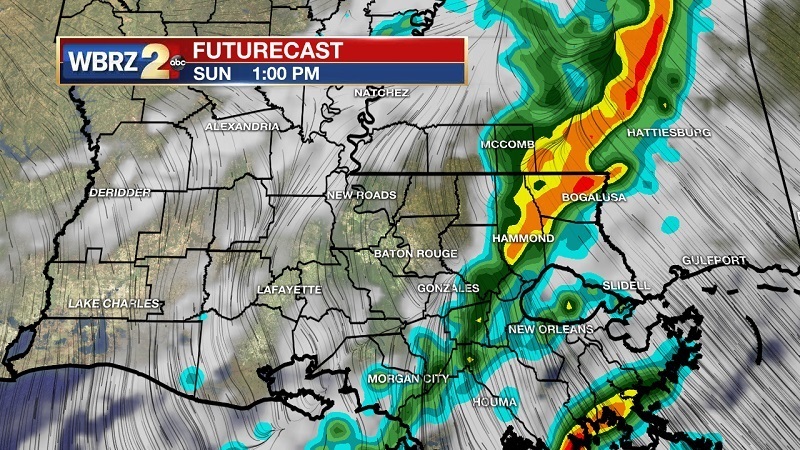 High temperatures will briefly break into the low 80s on Monday, ahead of a strong cold front that will bring strong to severe storms into Northern Louisiana, Mississippi, Arkansas and Tennessee Monday night into Tuesday morning. The brunt of this system will be to our north, but we are in the slight to marginal category for severe storm potential. 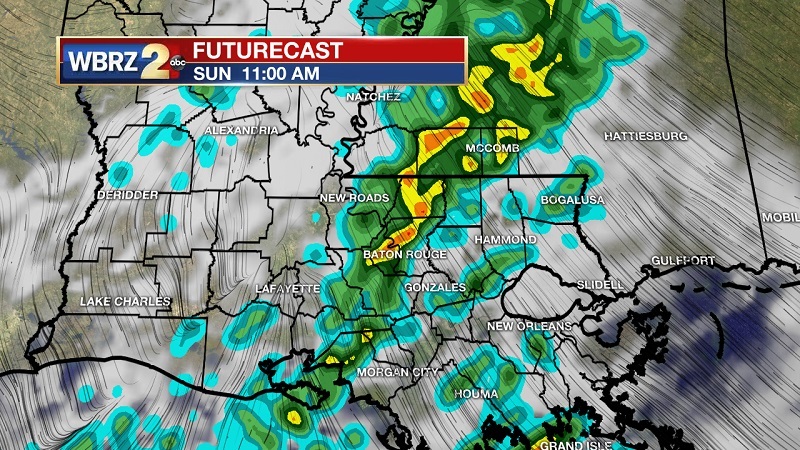 This means that there is a possibility for gusty conditions, and even a slight tornado threat as this front passes. We do encounter a break in the storm action on Wednesday, before another strong cold front moves through late Thursday into Friday morning. This late week front will break through and into the Gulf, plummeting highs into the low-to-mid 60s as we head into the weekend.